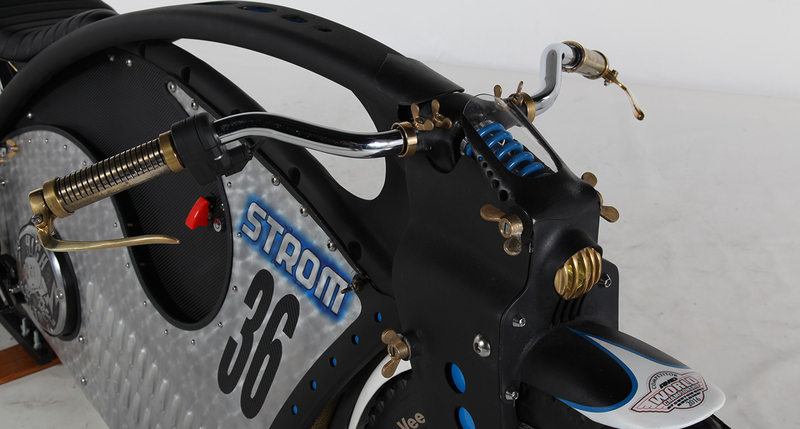 EVs are breaking ground in unlikely places, including the stalwart AMD custom shows, where Strom36 became the first e-custom to win Best of Show, in 2015. Designer/builder Noel Connolly took inspiration from board track and Bonneville bikes for its narrow, arch-back profile making an extremely light and sleek machine. He built the frame and pivot fork to his own design, from scrap tubing and sheet aluminum, and the resulting magic stole the heart of his fellow builder/judges at the Irish Motorcycle Show. 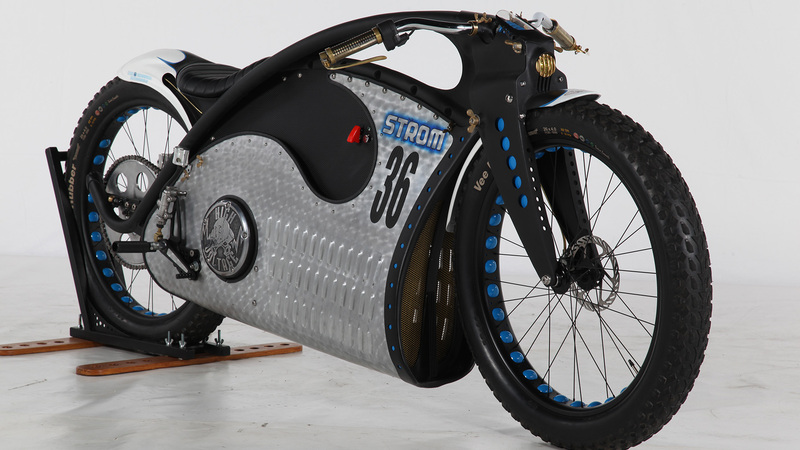 At its core, Strom36 is a built-from-the-ground-up, custom electric Motorcycle. The design is modern, but takes inspiration from Board Track Racers and sleek bodied Lakesters as seen on Bonneville Salt Flats. A Motenergy ME 0909 permanent magnet DC motor powers this Motorcycle, using an Alltrax Controller with a Magura Electronic Twist throttle. It is a 48 volt system and uses 4 x 12 volt lithium ion batteries.